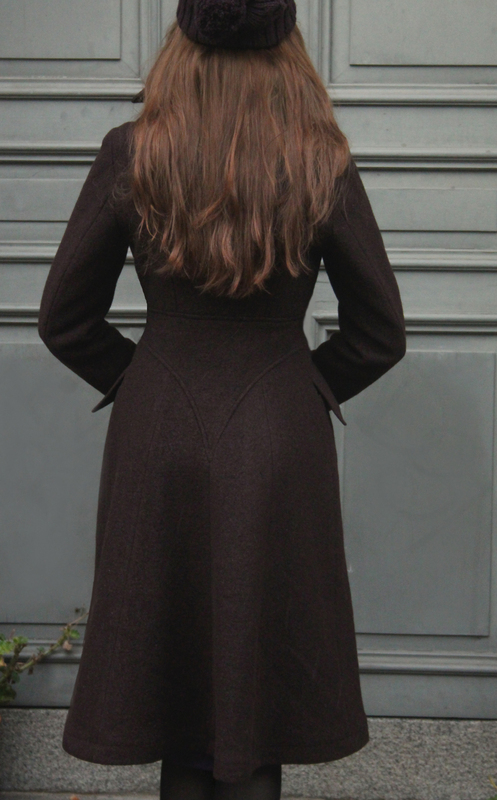 The wool and the lovely viscose lining is stretchy which make the coat comfortable to wear quite tight. A bit extra long sleeves. Color: Dark chocolate with a taste of cherries.